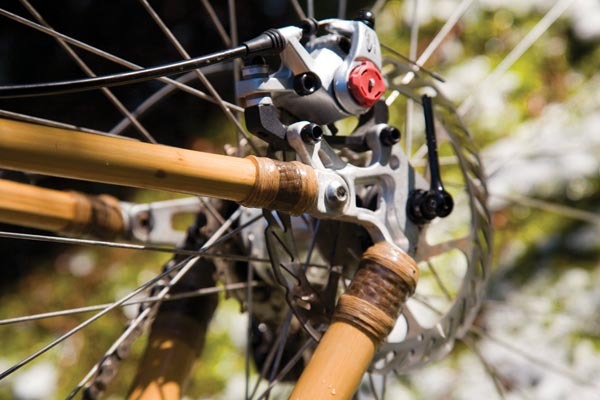 As we reported back in CA March 2013, Scarborough’s own Bamboo Bikes has expanded its range to include a 29er, a hybrid and this cross machine — BB’s first foray into the world of drop-bar bikes. We’re proud to say Cycling Active was the first magazine to test Bamboo Bikes’ prototype mountain bike, more than a year ago. Contrary to our prejudices, it rode just like a ‘normal’ bike. In fact, this made-in-the-UK Bamboo CX Disc is plenty stiff enough. I took it for a test on mixed surfaces, including post-snow, flooded gloopland and there was certainly no lack of strength. The back end popped out when things got über slushy and then bobbled along when conditions under-tread firmed up. Which of the established frame materials is it most like? You might expect a slightly spongy steel experience, but in this case it’s not far off aluminium. There is a strange difference, though: while good aluminium frames are able to isolate you from little imperfections but often lose all composure when their abilities are pushed too far, this Bamboo Bike tends to just take the edge off all bumps. If anything, the bigger the hit, the more effective it is. The small Bamboo Bikes team has a background in off-road racing, so the CX Disc is geared more towards competition than the general cycling tasks I had it doing. So, there are little quirks, such as the lack of bottle cage mounts. However, despite its mtb heritage, I found the CX Disc was best on asphalt. It was certainly good fun and very controllable in the mud, but on the road it felt really rather relaxed. Apparently BB has relatively few enquiries about making road bikes, but with a few geometry tweaks it could make an interesting sportive machine. I won’t talk about components and finishing kit, mainly because our test bike was slightly different from the version available to buy (the spec list on this page is as per the production bike). But the Shimano 105 drivetrain is the same, which is a good thing, obviously. Just as reliable, although reliably polarising, are the aesthetics. 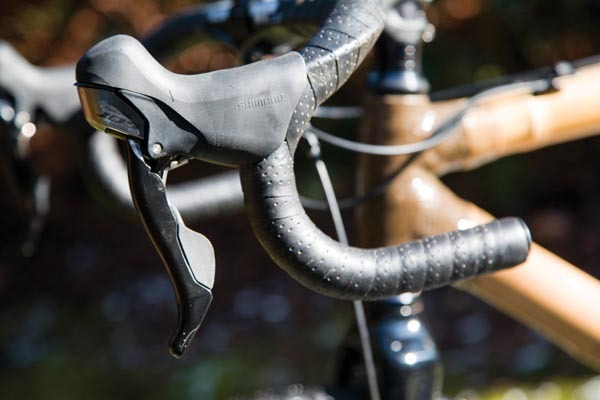 Another question mark is price: £1,899 is a lot of money for a niche product, and for the same outlay you could find quite a stunning — although mass-produced — cross bike from an established brand. However, by the same token, if you were looking for a quality steel bike with a similar spec, the CX Disc is on the money. Try finding a similar made-in-Britain steel bike for this price and you’ll have to look very hard. But perhaps the biggest obstacle to the success of bamboo bicycles is perceived wisdom. 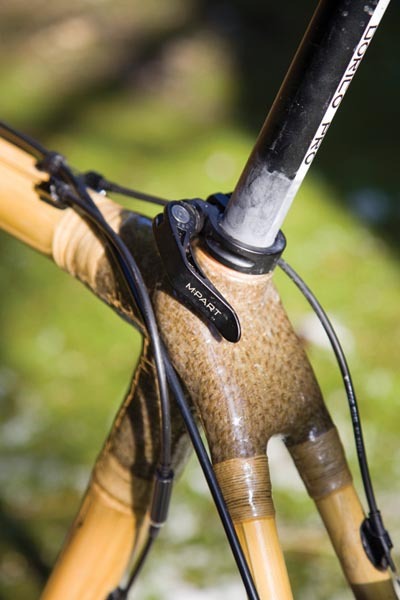 Cycling has a well-established volunteer army of armchair experts, and many of them seem to know all about bamboo as a frame material — particularly its alleged faults — without ever having ridden one. 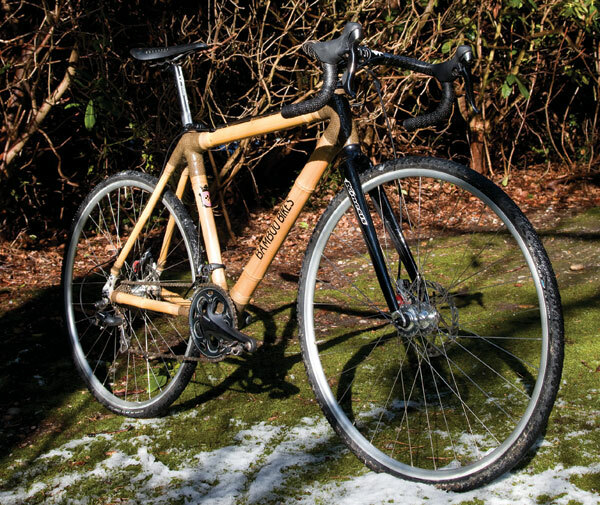 In fact, how many other cycling media outlets have you even seen test a bamboo bike? I’m not saying that at CA we have incredible foresight and this is a wonder material that will revolutionise the bike industry. But we can say with rare authority that bamboo is a perfectly functional frame choice that should be seen as more than a novelty. So the CX Disc is a fine bike that handles very tidily and rides really rather comfortably, especially on the road. If Bamboo Bikes could somehow create a budget version priced under the Cycle to Work scheme limit, there might be an audience of new cyclists willing to give them a try. As things stand, this is a great but specialised option for a special type of rider.